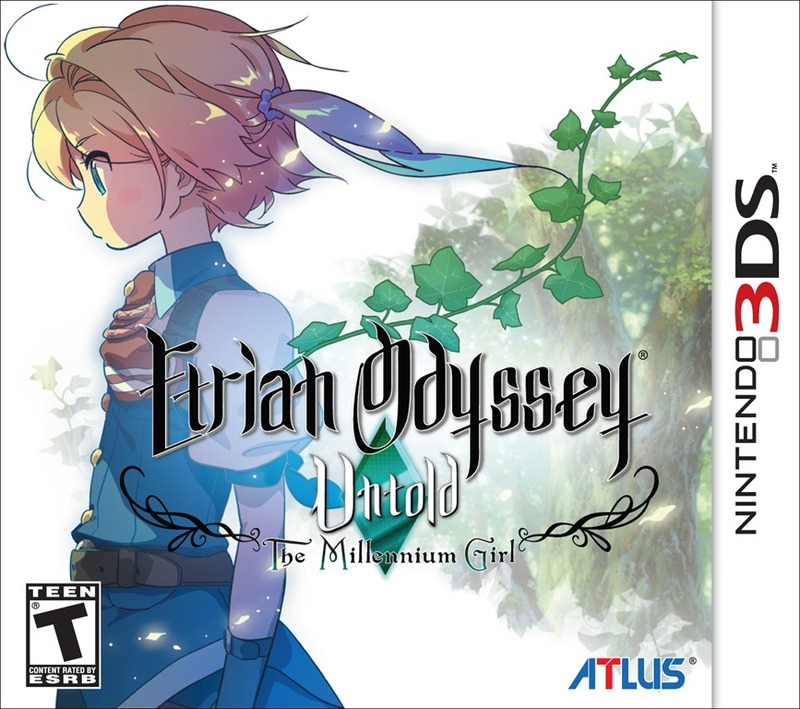 The opinions contained herein are in regards to the DEMO version of Etrian Odyssey Untold: The Millenium Girl downloaded from the Nintendo e-Shop, NOT the full game. The Etrian Odyssey series found its start in the Nintendo DS era utilising the bottom touchscreen for recording maps in addition to many features found typically in traditional RPGs. By creating your own characters, you have a personal link to the game and the story that unfolds. After the release of the Nintendo 3DS, Etrian Odyssey IV: Legend of the Titan was released in mid-2012 in Japan and 2013 internationally. 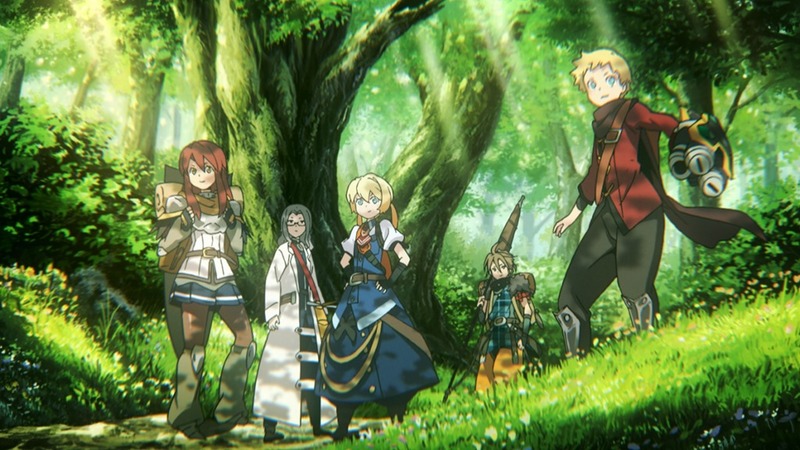 While keeping the elements that made Etrian Odyssey popular to begin with, new classes were included, graphics were updated to accommodate the 3D screens, and other items as well (F.O.E.s were updated graphically on the top screen during exploration). Somehow, the Etrian Odyssey series had evaded my notice up until my acquisition of the 3DS less than a year ago when I played the demo for Etrian Odyssey IV. The unique use of layering in the in-game menus, lush environments, as well as the music by the talented Yuzo Koshiro helped to get me more readily absorbed into the environment than just the character creation. So effective, in fact, that I refused to buy the game until I was able to hunt down a FIRST-PRINT copy with the outtakes and drafts CD. The game also made use of Streetpass and QRCodes to share characters from your party so that other players can potentially go on an adventure with your personally created character. 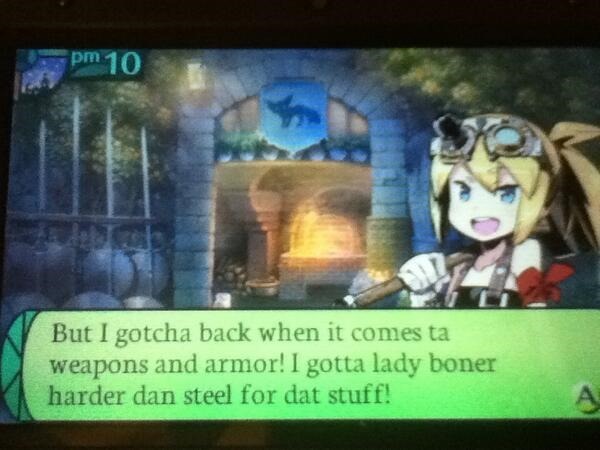 Etrian Odyssey Untold: The Millenium Girl keeps these features and takes things further in the advances seen in the previous installment with various changes, such as minor graphical enhancements (the backgrounds in the town of Etria are now 3D rather than standard 2D art layered by the menus). The menu colours are now slightly different but keep on the same layered menu. Probably the most noticeable change in this new entry to the series is the inclusion of a Story Mode, where a preset group of characters is made as your party similar to most standard JRPGs today. This is in addition to Classic Mode (unfortunately not on the demo), which allows you to create your own characters and party like previous games, so fans of character creation need not fret. If anything, that the game includes both makes it easier for a wider variety of RPG fans to get into the game. Since there is a story mode, Atlus now included animated cutscenes into the game. These cutscenes are beautifully drawn and animated and fully voiced. The only complaint here (and frankly in this review at all) is that there is no option for subtitling. While I tend to play in the comfort of my own home, the 3DS is a portable device and many do take the device out in public to play where they may not be able to hear the dialogue easily. In the Story Mode, you play as a Highlander (a class that has higher attack and whose skills sacrifice one’s own health/status to inflict greater damage to the enemy) who is duty bound to the Radha of Etria. Etria has been having issues with frequent earthquakes recently and after a small tutorial map, you find that these earthquakes are linked to activity in a nearby ruin. After proving yourself, the Radha sends you to investigate the ruin in secrecy, whereupon you discover Frederica – the titular "Millenium Girl" – who seemingly was in some sort of cryogenic sleep and is suffering from amnesia. Shortly after, you are also joined by three members of the Midgard Library – an outside faction that is famous for its knowledge – that were also investigating the ruins. It is here that you begin your story to unravel the mysteries of the ruins as well as of Frederica. The ruins are linked to a labyrinth and the demo ends when you reach B3F of this labyrinth. You are able to reach a max level of 10 and can carry over your demo save to the actual game similar to the system in Etrian Odyssey IV. In story mode, you are locked to only the characters given to you (whether more party members will later join you or whether you can create characters in story mode beyond the demo is not known to me), so initially I had concerns that perhaps I would be "classlocked" through the game. However, there is also a mechanic known as the "Grimoire System" that allows characters the ability to gain skills not normally found in their respective classes. Grimoire Stones can be created through random "Grimoire Chances" that occur in battle. Once created, this new stone may contain a class skill or even an enemy skill, allowing for new combinations. While you can only equip one at a time, there is also the Grimoire Synthesis which allows the fusion of three separate stones to create a new one (The first two stones pass over skills while the third passes weapon proficiencies). This allows you to either enhance the strengths or cover the weaknesses of each character. The classes – from what I’ve seen in research – resemble the ones from Etrian Odyssey I with a few differences (probably because this is a retelling of Etrian Odyssey I to begin with!). For example, Simon is a medic, Arthur is an alchemist, and Raquna is a protector. However, the Highlander and Frederica are unique in that they don’t follow the old classes; the Highlander is in a class of his own (pun intended) and Frederica is a gunner, similar to a sniper in Etrian Odyssey IV but with guns. Voice acting is also included in the game for the various characters, from the shopkeep to each of your party members. The "proximity gauge" that notifies the player of when to expect a monster encounter also is supplemented with voices exclaiming the potential danger. They will also mention if there is something to "Check" on a square. Throughout the dialog between the Highlander and the party members, you can choose what to say, similar to Atlus’s more popular series, Shin Megami Tensei (Shin Megami Tensei IV was recently released for the Nintendo 3DS as well). Whether or not this affects anything in the story or any other element remains to be seen. 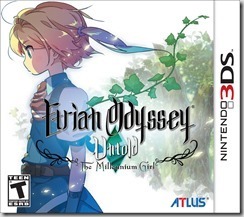 While I am relatively new to the Etrian Odyssey series, as an Atlus fan, I have high hopes for the full product. After all, Atlus has got my back when it comes to games! This entry was posted in Nintendo 3DS, Reviews, Video Game Reviews and tagged Atlus, Etrian Odyssey IV, Etrian Odyssey Untold, Nintendo 3DS, Reviews on 2013 September 23 by 旋風.